Results for category "Video Games"
It’s cold out. When it’s cold out, I start playing video games a bit more. As many of those who know me freely observe, I’m a recluse a lot of the time, and no more is this reclusiveness more prevalent but in the cold. So, this year so far, in the absence of warm weather, any regular Frisbee, Softball, an active Fantasy league, non-busy “let’s go to a bar and get a beer” friends or anything else that really demands my attention after work during the week, I’ve started playing “Rainbow 6 Vegas” for the Xbox 360. For those that don’t know their video games, Rainbow 6 is kind of a swat-team-like take on the traditional 1st person shooter. Though not as readily discussed as they absolutely phenomal Call of Duty 4, Rainbow 6 provides a more realistic AI, and (with the exception of COD4 on Xbox Live) a way more enjoyable “Terrorist Hunt” multi-player option that takes advantage of these intelligent computer dudes. I played the multi-player first, so I naturally figured I’d like the single player campaign too. Well, that was a yes and a no. As I’ve written before in previous debunked blogs here, I’ve come to believe that the fascination with video games lies with the fact that it’s a way of achieving quick victories and reward. People love the ability to feel vindicated quickly: I mean, if you think about it, normally these possibilities don’t exist all that frequently. However Rainbow 6 added an important extra facet to this theory for me. Now I’m an expert at games. Seriously, this isn’t a boast. 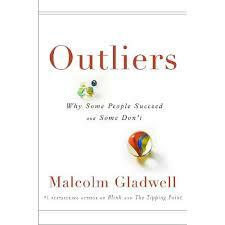 Malcolm Gladwell in his new book “Outliers” points out that the magic number of hours to be an expert at something (Including the Beatles, Bill Gates, Steve Jobs..etc. etc..) appears to be 10,000 hours of practice. Well, I started at age 3 (A shame I can’t parlay into something more than witty blog entries..doh!) but this one got to me. The damn game didn’t play be the rules! For those at all familiar with video games and even computers in general, they’re all based around predictable algorithms: sooner or later good gamers will figure out the pattern and effectively “game the system” if you will. This is why good gamers are always able to run under Koopa’s legs in Mario 1. This is why in James Bond 64, you can clear out an entire room of guys by getting them to run out the door when you fire an unsilenced weapon. To take it from a movie standpoint, Morpheus states that the Agents can never be as good as The One because they’re based in a world that has RULES. 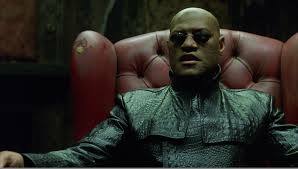 Morpheus also patented the behind the back arm fold, which in itself was absolutely amazing. But Rainbow 6 was beyond that, and it was truly maddening. I found myself yelling and cursing circa: 1996 Matt Horn. The game continued to cheat me by firing through walls, planting extra quiet grenades, and literally beaming in bad guys out of no where. The bad guys never appeared at the same place twice, and the kinds of actions that would’ve emptied a room in James Bond 64, just made the bad guys in the other room curse at you (literally). Now I am all for progressive games that figure out how to get around earlier games’ falicies, but this one took it too far for me. I chalked it up to bad programming rather than intuitive, in part because if this WAS so real, why didn’t games like COD4 employ such an intelligent engine? Which brings up obvious question: what happens when games are too good to be gamed? It’s coming. Computer technology grows in leaps and bounds monthly. But will complex AI games really be as popular? Based on my recent experience, I’d say certainly not. The recent resurgence of old classics and back-to-basics games that companies like Nintendo stake their fortunes on, makes me think I’m on to something too. Happy Birthday to my buddy Nate Fish who’s the first of us to 26. Thanks for introducing me to the would-be-my-mom’s-favorite-bar The Jukebox too buddy..haha It was cool to see some friends I haven’t seen in awhile too. My other friend Rachael recently started her blog here: Rachael’s Blog….check it out and post some feedback. According to her, it’s basically going to be about simple introspection, but, like me, she tends to get pretty detailed about the simple stuff, so it’ll probably be a good read. Got sucked into a Rocky Marathon this past weekend..again. The Rockys with the exception of Rocky 5 and Rocky 3 if there’s ANYTHING else on TV, are high on the list of Movie’s You Can’t Not Watch. Which made me wonder: why does Rocky get INSANELY beat up in the first couple, but seemingly stronger fighters Clubber and Drago don’t appear to really damage him all that much? I mean, sure he’s in the hospital with brain damage at the beginning of 5, but he still has enough sense and energy at the end of 4 to give the whole “If I Can Change, and U Can Change..” speech. Also, by far my favorite character in any of these movies is Apollo’s-turned-Rocky’s trainer Duke. 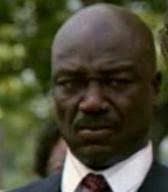 No one shows even a tenth as much emotion as this guy does, particularly in Rocky 4. I mean, even with the death of Apollo and impossible Rocky/Drago match on the table, I STILL think this guy throws out too much emotion, and that’s why he’s the man. It’s single-handedly the greatest emotional display to ever exist in a movie without murder involved. Anyway, I digress. Thanks to Bill Simmons, once again for sharing this great scene-by-scene remake of the “No Easy Way Out” montage in Rocky 4. Hilarious.